Made from aluminum for easy opening, the frame can withstand loads up to 44 pounds per square foot so it prevents people and pets from falling into window wells. 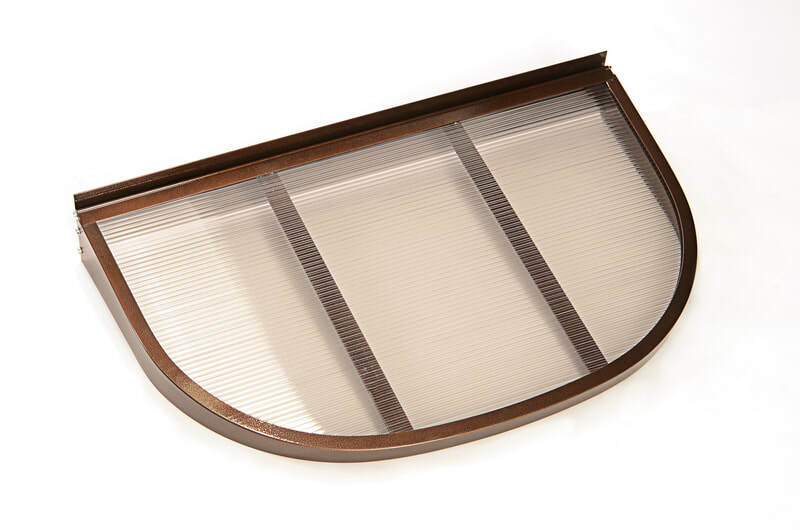 The fluted polycarbonate panel increases the thermal performance of any basement window. 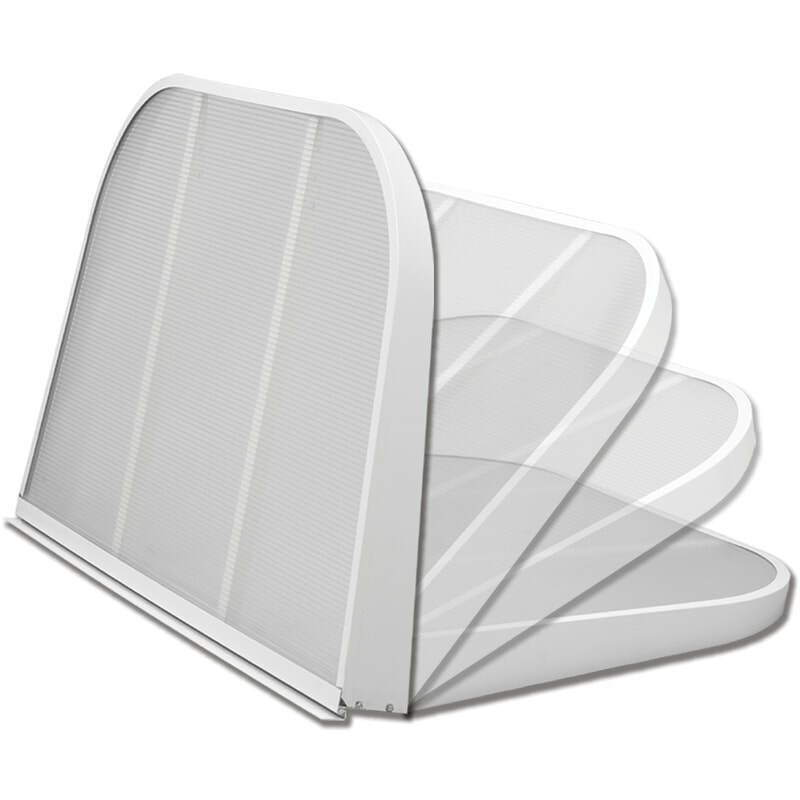 Hinged cover design allows for ventilation and easy escape in emergency situations. Sloped for rain, ice, and snow run off. 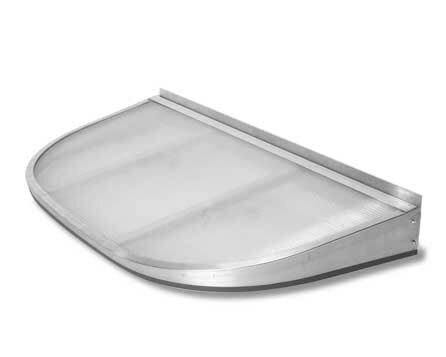 Standard sizes fit Monarch Window Wells and custom sizes are available to fit any well. Available in White, Copper Vein, or Mill finish. Need help determining what size cover you need for your window well? Review our ​cover sizing guide.